Security tokens are positioned to grow at a fast clip as institutional interest in cryptocurrencies and related assets continues to increase. Top digital currency Bitcoin increased in value by 9.7 percent in the first quarter of 2019, ending the period at US$4,119.04. The upward shift comes after a prolonged price dip that saw Bitcoin decline over 70 percent in 2018. On Tuesday (April 2), Bitcoin rose further to pass US$5,000, its highest level in over four months. Investors are keeping a close eye to see if it breaks US$5,200, the 21 month exponential moving average. Bitcoin’s highest value was at the end of 2017, when it skyrocketed over 220 percent in Q4. It peaked on December 17, 2017, at US$19,783, before dropping almost 50 percent in the next two months. Despite its ups and downs, interest in Bitcoin remains strong. The market has largely been dominated by retail investors, but more interest is now coming from institutional investors. As part of that shift, security tokens are taking on a growing role. Jeff Ramson, CEO and founder of PCG Advisory, told the Investing News Network (INN) that, with the world becoming increasingly interconnected and digitized, owning digital currencies as a store of value could align with this digital progression. “When it comes to Bitcoin, there’s a finite supply that’s transportable and, in a digital age, there’s an acceptance of it as a store of value. So, I think that there’s more and more institutional investors coming into the space, so, as it gets more accepted, you’re going to see a natural bid to the marketplace,” he said. In terms of how to approach Bitcoin, some investors view the cryptocurrency as akin to a digital gold. “The term cryptocurrency is actually very misleading to a lot of people because some people believe that Bitcoin has been created potentially to remove the use of the US dollar, but that’s not at all what it was intended to be. You may have heard Bitcoin being described as digital gold and that’s a much better kind of way of looking at it,” Henry James, deputy CEO of Fincross International, told INN. Beyond digital assets is the security tokens market, which has drawn remarkable interest over the past year. Security tokens represent an asset or utility. They may be backed by assets such as gold or government-issued currencies, or could represent a utility such as a right, a vote, an entry into an ecosystem or the ability to serve a certain function within a network. In 2018, security tokens offerings raised US$380 million, says Decrypt Media. tZERO, an alternate trading system and subsidiary of Overstock.com (NASDAQ:OSTK), raised US$143 million alone in October. Security tokens offer a variety of benefits. In an independent ecosystem where an exchange of value takes place, the tokens can create a store of value, provide reward systems or give the ability to be included in company profits. For example, BAT tokens, distributed by the Brave web browser, enable users to advertise within the Brave platform. “I think the security token market will absolutely dwarf the size of the cryptocurrency market. I believe that will happen by the end of 2021,” James said. As security tokens enter the market at a larger scale, the emergence of a derivatives market becomes more of a meaningful possibility. “At that point, we’ll start to see leverage being applied to security tokens, with three, five and 10 times leverage, which, again, will just continue to drive the market. 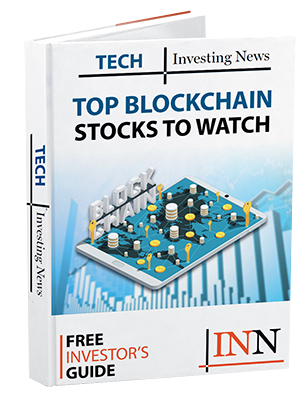 I think, at that point, we’ll see a huge spike in acceleration in terms of the growth of this market and the demand for these new investment products,” said James. Injecting liquidity in this market could have major outcomes. In fact, Caspian announced on March 20 that it is building a cryptocurrency derivatives trading platform. Last August, Level Trading Field launched an Ethereum-based cryptocurrency asset derivatives exchange called CADE. Security tokens are well positioned to see significant growth in the years ahead. With a number of companies beginning to adopt tokens that are tied to different asset classes, from real estate to government-issued currencies, the scale of this market could extend to a much broader market than cryptocurrencies alone.